When Johnson City and Gray Chevrolet vehicle owners are in need of service or auto repair, they think no further than H-Tek Auto Care. You could say, that this team of ASE-Certified auto mechanics has been working on Chevrolets since shop class. 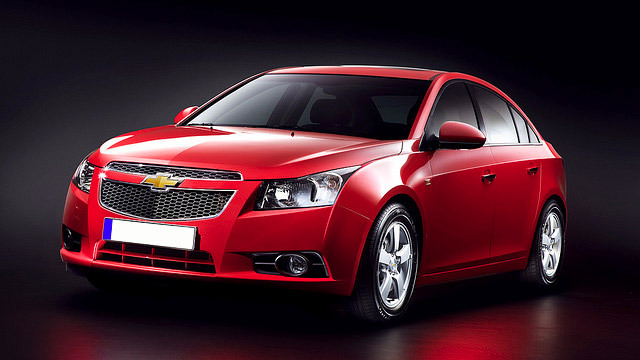 Now, with that kind of passion mixed with nearly 100 years combined experience, you can be guaranteed that our auto mechanics have experience with all makes and models of Chevrolets. Whether it’s your family-friendly Tahoe, the Volt that zips you by the gas station, or your heavy duty work truck, the auto mechanics at H-Tek Auto Care are trained and experienced working with Detroit’s finest vehicles. They will perform a multi-point visual inspection of your automobile and determine which repairs are necessary now and will then build a maintenance schedule for you that fits your budget and your calendar. “Eric and Crew will take good care of you and your vehicle: expertise and experience from a solid business with a moral compass!” -- Ron G.
We back all of our repairs with a nationwide 3-year, 36,000mile warranty because we want you to drive away feeling confident in the handling of your Chevrolet and we want to make you apart of the H-Tek Auto Care family. We are proud of our five generation, auto mechanic lineage and when you utilize our shuttle service, chances are Don, Eric’s father, will be your driver. So, when your Chevrolet needs servicing or auto repair, come visit us at 5882 Bobby Hicks Hwy., Gray, TN 37615 or schedule an appointment online.